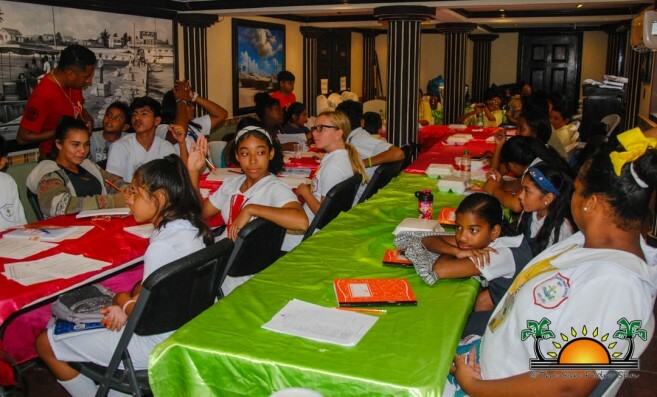 As part of the Sustainable and Child Friendly Municipality initiatives, a two-day workshop on emergency preparedness was held in San Pedro Town for primary and secondary school students. 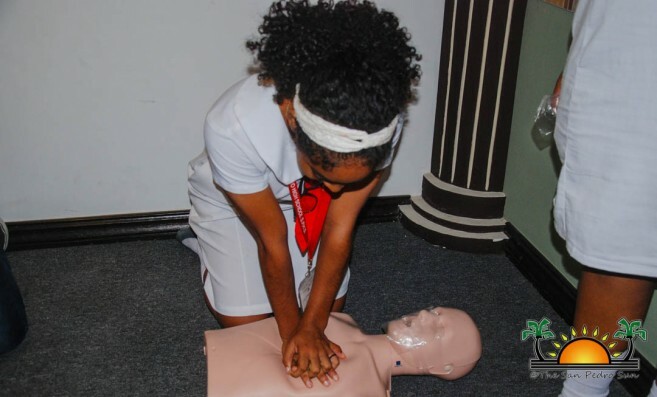 The educational activity took place on Tuesday, December 4th and Wednesday, December 5th inside The San Pedro Town Council’s (SPTC) conference room, training young children on how to deal with emergencies like fires, natural disasters, learning how to use a first aid kit, and performing cardiopulmonary resuscitation or CPR. The workshop goal is to develop a plan for the island to better tackle future emergencies. 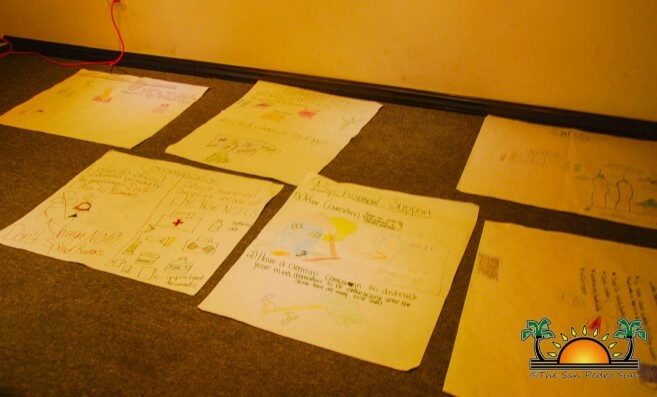 The educational workshop was made possible via the collective effort of different entities. 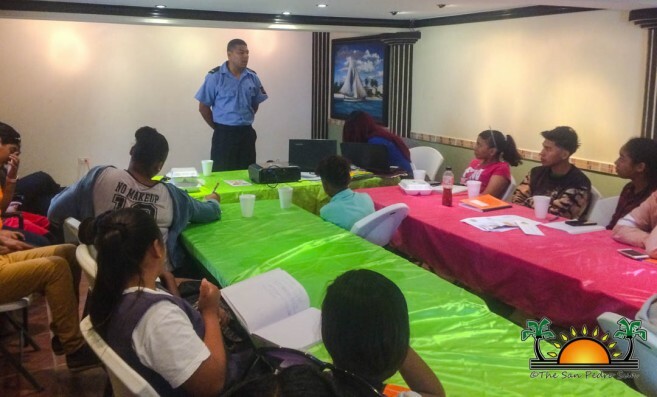 These included the Ministry of Labour, Local Government, and Rural Development with UNICEF Belize, the SPTC, the National Emergency Management Organization (NEMO), Belize Police Department, Belize National Fire Service and the Belize Red Cross, along with the Ministry of Health. On the first day, participants learned how to identify medical emergencies and how to render assistance thanks to Ashty Dennison from the Red Cross. They also had the opportunity to practice CPR in order to save someone’s life. The students received important lessons from the local police formation, who spoke about their role during and after a natural disaster. One of the main duties highlighted was their responsibility to keep everyone safe. NEMO presented on what to do when there is a threat of hurricanes, floods, and potential tsunamis. The children learned to rely on official information, to stay away from doors and windows during a strong storm, as well as from moving water during a flood. In the case of tsunamis, the students learned that the best option is to seek higher ground. The last day of the workshop saw Denise Robateau from UNICEF Belize engaging the students on the Core Commitments for children in emergencies. She touched on the collection of survival supplies in case of an emergency. This included a first aid kit, water, flashlight, canned food, money, and documents. UNICEF will also provide psychosocial support, water sanitation, and hygiene along with education by setting up small temporary spaces with minimal infrastructure. The presentation from the fire department was crucial, as children learned how to prevent and deal with a fire. The students were presented with vital information regarding the local fire station and how to get in touch with it. Each child paid keen attention to the lessons on a plan of evacuation during a fire, and the best options to apply if caught on fire. The activity was very interactive and informative, with students asking many questions regarding this particular emergency. The two-day workshop closed with representatives from the Ministry of Health explaining their role after a natural phenomenon. They provide attention to children and tend to the affected in a child-friendly medical center. The training is part of the plan to continue recognizing San Pedro as a child-friendly community. According to organizers, the ultimate goal is to make the island a better place where children can live in a safer environment.